Get managed windows VPS server Hosting to boost your application performance at very economical lowest price, Our Managed Free Windows VPS Server allows the users to access the application for 24/7hrs from across the globe. However, to manage the VPS server, you need the best and reliable hosting services. We, provide the top-notch hosting services and different hosting plans for the customers as per their business requirements by ensuring solid performance, power, speed and reliability. Moreover, we provide immaculate technical support to the clients and help them in resolving the issues swiftly without interrupting their business operations for free of cost. We even replace the faulty hardware and provide 100% uptime. 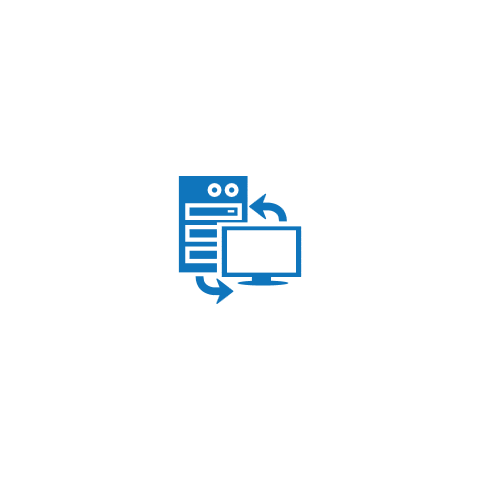 Our clients can confidently run the windows applications remotely with our windows VPS server. We even customize the plans as per the organization needs and leave customers with peace of mind by managing their servers. Our dedicated and experienced Windows technical team will manage your windows 2008, windows 2012 VPS server and use monitoring system to detect the issues within the server and fix them before it actually leads to disastrous consequences. The pool of our certified team will manage the server, update the security patches and latest software versions on a regular basis, provide free migration, install PHP modules, etc. We provide continuous technical support for our customers. We resolve your licensing issues and do migration for free of cost as per the plan you have availed with us. We provide you the room to add the applications to your website that you are looking for by going through the documentation that we have given you at the time of subscribing to our hosting plans for free. Our windows VPS server is power-packed with frameworks, software and control panels, thus providing the safe and secure arena for your windows applications. We give you the privileges to install various applications, services, scripts, and modules. Moreover, we give you the root access to your server to manage the settings and run the apps on different operating system. You can work on the database at any point of time from across the globe by having privileged access to RDP. You can get unlimited bandwidth to gain the audience to your website from across the globe. And the limitless space allows you to store as many files as you would like to without dearth of storage space. Moreover, we provide the room for expansion in terms of memory, RAM, computing power, disk space and bandwidth. As the business grows, people need extra resources to manage their site, so by taking our hosting plans, we provide unlimited resources to our new and pioneer customers. We even upgrade the virtual server regularly without charging a single penny from our customers. We know that data is money for all the organizations. We perform daily or weekly backup of confidential and sensitive data of the organization and retrieve them in case of any hardware failure or data loss. Moreover, we ensure to provide bullet-proof security by installing anti-virus tools on the servers and by providing comprehensive security measures. We strive to detect the vulnerabilities and other attacks on the server before the attacker gain unauthorized access to the server. We use cutting-edge data leak prevention software to protect the data and our administrators fix all the glitches in the DNS server, MYSQL, FTP, SMTP, Perl and PHP without interrupting the business operations. Our technical team provides 24/7hrs customer support to our global clients using their profound knowledge and skills. They try to find the best resolution for the raised issues of the customers within a short time period. Our team is available to answer the queries of the customers either via chat or email. Customers can raise the ticket about the issue they are facing at any time and we immediately try to resolve it. Our key motto is to ensure customer satisfaction by providing the technical support that they deserve.